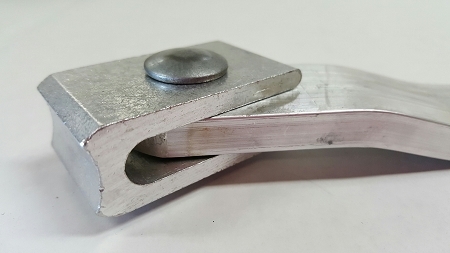 This is an aluminum cam latch bar, with a standard bend in it. 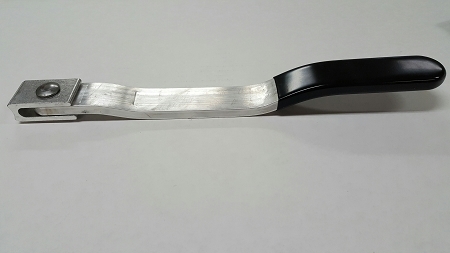 The handle is 14" long (including bracket), 1 1/4" wide and 3/8" thick. The handle moves up & down, fastened with a pre-installed bolt to an aluminum bracket with a concave end on it, so it can be welded to a vertical aluminum pipe. This cam bar works well with our stainless steel standard cam hasps, or with a Keyed Cam Latch. Sells complete with a black vinyl grip.